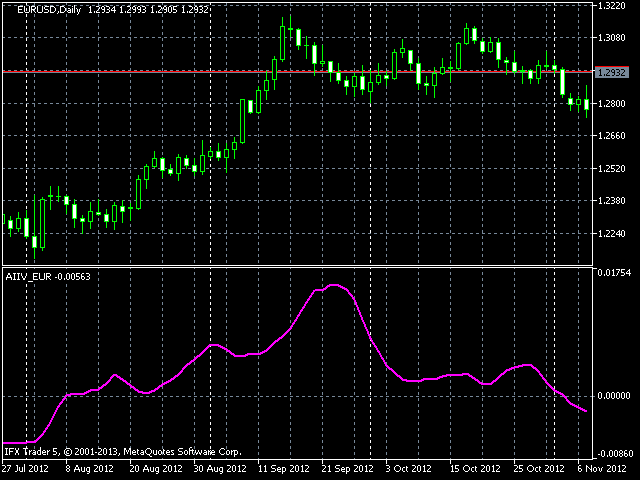 The indicator shows the intensity and the direction of the movement of EUR. AIIV is a series of indicators of inflection values. 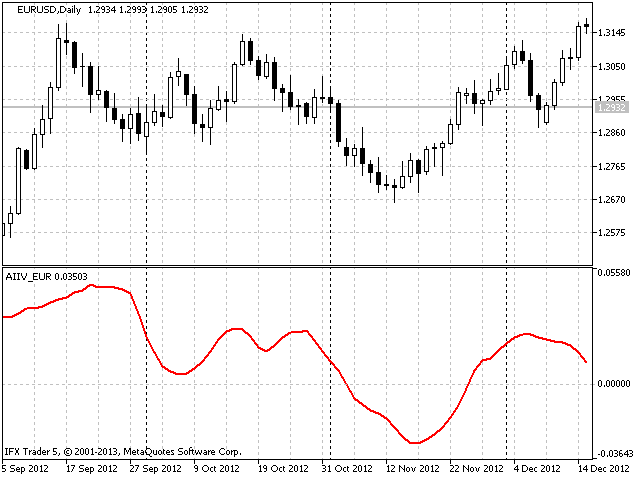 Other popular currency pairs are planned to be covered in further developments that will be published in my products. 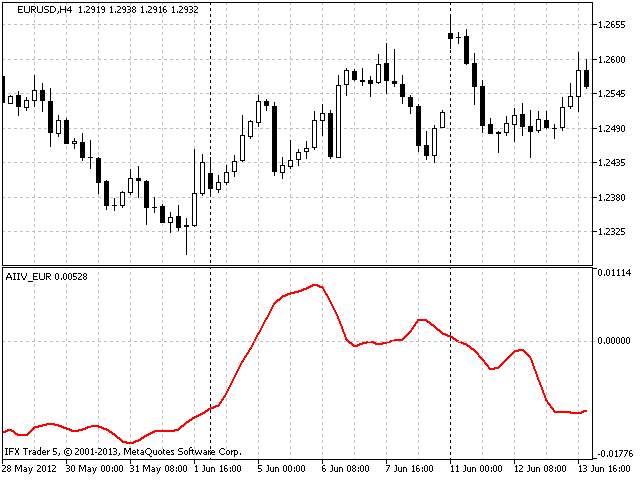 There you can also find an extended version of this indicator called AIIV EURUSD. 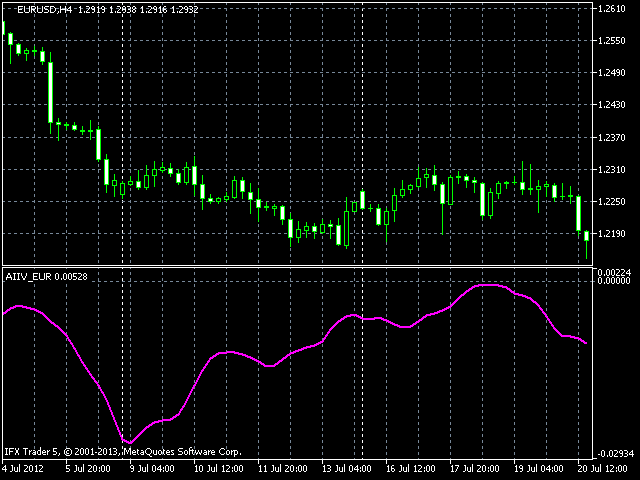 The indicator works correctly on condition that the data for the following instruments is available: EURUSD, EURGBP, EURAUD, EURNZD, EURJPY, EURCHF. The indicator draws one line. 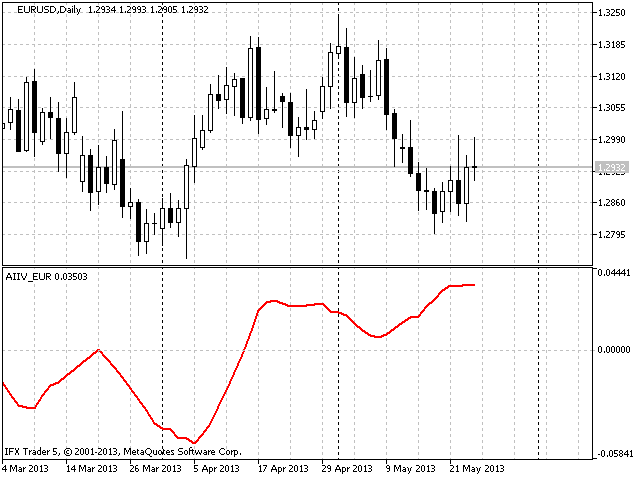 On default, the red line displays the direction and intensity of the movement of EUR. The indicator has one parameter - Number. It is used for setting the level of passiveness of drawing.